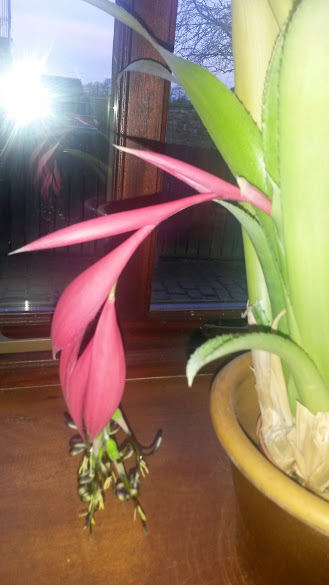 I have had this plant for many years and it lives in the kitchen window. 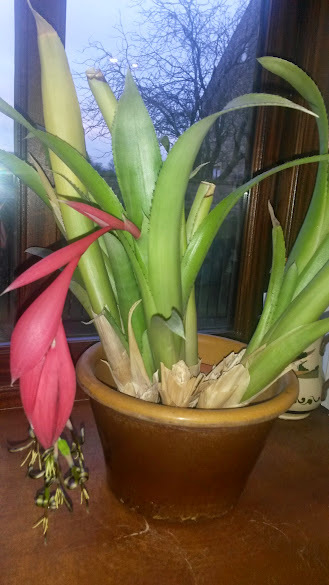 I am no botanist so I don't have a clue what the plant is but it has a really unusual flower that is bright pink with green and purple stems dangling out of it. Mark's Mum usually knows the names of plants but she wasn't sure what this one is called. If anyone knows please let me know!